Breaking free of addiction is an important, potentially life-saving, decision that should be taken seriously. Drug rehab or alcohol rehab programs provide the opportunity to escape addiction for good and to embrace a healthy lifestyle free of substance abuse and its accompanying problems. 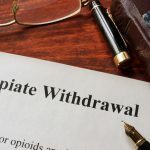 However, anyone who is considering professional addiction treatment should understand the five main principles that are generally found at the heart of any rehab program. Someone who is addicted to alcohol or drugs often feels guilty for letting other people down. When loved ones try to convince him or her to go to rehab, the addict will agree to do so in order to please others rather than himself. For rehab to have a strong chance of success, the addict must be willing to give one hundred percent due to a personal choice, not because of pressure from others. Further, many addicts desire to break free of alcohol abuse or drug abuse, but they lack the strength of will to make it happen. They might go through detox at home or in a community program, but end up returning to drug or alcohol use due to a lack of commitment to recovery. The person who wants to give up drugs or alcohol must be willing to keep going until recovery goals are reached. Although some alcoholics or drug abusers are able to kick the habit independently, many or most addicts need professional help. This should begin with a thorough medical evaluation and assessment, followed by ongoing medical monitoring during a detox and recovery program, and afterward. Medical screenings can help to ensure the body is adjusting safely to post-substance abuse conditions, and that there are no other underlying health issues that require treatment. Mental health issues should also be addressed, if known or suspected, to ensure a holistic approach to substance abuse recovery. Successful alcohol rehab or drug rehab often requires the contributing benefits of individual therapy or counseling. This can usually be done on an inpatient or outpatient basis, depending on the type of recovery program the person is following as well as general health and lifestyle factors. Therapy sessions can be arranged during the rehab phase of recovery, and they can extend into the post-rehab phase as needed. Contributing factors such as childhood trauma, personality issues, or military experiences may sometimes be explored. Current problems such as relationship issues or financial hardships might also be touched on during the therapy phase of treatment. In certain cases, family members or others may be asked to join these sessions to explore related situations that may have a bearing on the person’s drinking or drug problem. Following a successful detoxification phase for alcohol abuse or drug addiction, the recovery period may take weeks or months. During this time, a valuable activity for many former addicts is joining a support group. These are coordinated through local churches or drug abuse prevention agencies, along with medical entities. Getting involved in a group setting with others who are experiencing the same struggle toward recovery can be comforting. Meetings remind the addict that he or she is not alone, and that many others are struggling with the same or similar issues. Tips, advice, and warnings are shared among members as a helpful resource to those in need. In conjunction with a commitment, medical monitoring, therapy, and possible group support, the dedicated person who is determined to pursue recovery is willing to make lifestyle adjustments to prevent relapse. These will vary by each case, depending on the addict’s former life and future goals. Abstinence from social activities and friends who are drinkers is often a prerequisite for success. In some cases, moving to a new neighborhood or getting a different job may be necessary. Ending a toxic relationship is another obstacle some addicts face, especially if the partner is using the substances that the person must avoid. Replacing former bad habits that were fraught with triggers that sparked substance abuse is very helpful in terms of offering addicts a fresh start in life, along with a chance to beat the habit forever. Addiction treatment is definitely doable for those who are committed to recovery from substance abuse. However, people must understand the above five principles as foundational for rehab success.